Myburgh confident about the veracity of the facts in book - SABC News - Breaking news, special reports, world, business, sport coverage of all South African current events. Africa's news leader. Magashule has said the controversy around the book will not deter him from focussing on the party's election campaign. 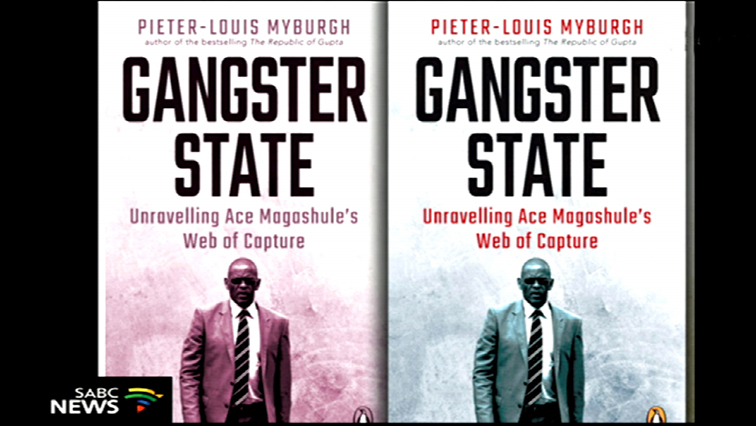 Investigative journalist Peter-Louis Myburgh says he is confident in the veracity of the facts in his book “Gangster State – Unravelling Ace Magashule’s Web of Capture” outlines ANC Secretary-General Ace Magashule’s alleged involvement in State Capture during his time as Premier of the Free State. Magashule has said the controversy around the book will not deter him from focussing on the party’s election campaign. His lawyers are expected to brief the media in the coming week about his legal challenge of the book. Myburgh says he welcomes any legal challenge. Meanwhile, the civil society coalition Unite Behind says freedom of speech and freedom of expression and the right to read is critical for any democracy. Unite Behind spokesperson Zackie Achmat has criticised Exclusive Books and the V&A Waterfront for cancelling the Cape Town launch of the book last week, due to safety concerns. The Johannesburg launch was earlier disrupted by a group of protestors who also tore pages from the book. Achmat says that is why they will have a people’s launch of the book on Monday afternoon outside the Slave Lodge in Cape Town. This entry was posted on 14 Apr 2019,11:03AM at 11:03 AM and is filed under mobile-leadstory, Politics. You can follow any responses to this entry through the RSS 2.0 feed. Both comments and pings are currently closed.